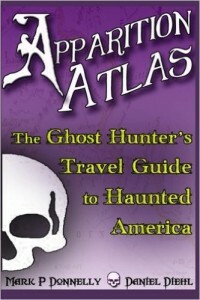 The following is a guest post by Daniel Diehl, co-author of Apparition Atlas: The Ghost Hunter’s Travel Guide to Haunted America with Mark Donnelly. If you would like to write a guest post on my blog, please send me an e-mail at contact@cecilesune.com. Since we are going to spend the remainder of this book talking about ghosts, we should probably take just a minute to define exactly what we mean when we say ‘ghost’. According to Webster’s Seventh New Collegiate Dictionary, the word ghost is defined as: ‘a disembodied soul; especially the soul of a dead person believed to be an inhabitant of the unseen world or to appear to the living in bodily likeness’. Well, that seems like a reasonable starting point, but since there are a great number of apparitions described in the following entries, I think we need to consider the definition of the term ghost in a little greater depth. Are ghosts conscious? This question lies at the heart of our attempts to understand the appearance and activities of the manifestations we refer to as ghosts. While it is undeniable that there are instances where those in the spirit world seem to communicate directly, and in real-time, with the living, we must consider the probability that the vast majority of spirit manifestations are nothing more than reflections; echoes of energy patterns left behind by individuals that have left the world of the living. Those instances where ghosts are reported to communicate directly with the living are notably rare. Even those occasions where physical manifestations (ghosts that appear in more-or-less their human form) may appear to look at the living and smile or nod, or instances where disembodied voices speak, are probably nothing more than an unconscious repetition of something the individual did or said while they were alive. The most common explanation for this particular phenomenon is to describe it as a psychic impression of a particular event, or a moment in time, which is then replayed at random intervals much like a tape loop or a clip from an old movie. It is highly unlikely that the individuals who appear in this type of spirit manifestation are aware of the living. In all probability they have no consciousness of any kind and are no more ‘real’ than the characters we see when we watch a movie; rather, they are simply patterns of light and dark, endlessly replaying a scene from some long-ago storyline, without having any sense of self-awareness, let alone an awareness of their surroundings. What this theory does not account for are those rare instances where ghosts – either fully formed and human in appearance or those which exist only as a disembodied voice – communicate directly with the living, conversing with them as though they were living people. For this rare and fascinating phenomenon, we have no theories to offer. It is, however, simultaneously comforting to think that conscious life may continue after death, and also slightly unsettling to consider that at least some of the dead are capable of interacting with the world of the living. The most common physical phenomena attributed to those from the afterlife are actions such as slamming doors, moving small objects, turning lights on and off and other startling but generally harmless interactions with the solid world of the living. Most such physical activities are attributed to a type of phenomenon known as a ‘poltergeist’. Translated from the German, poltergeist literally means ‘noisy ghost’. While some poltergeist activities can be extreme and terrifying, most of them are completely harmless, if sometimes annoying. The dangerous kind of poltergeist activity, where furniture flies across the room and humans are beaten or bitten by unseen assailants, generally only takes place in households where there is a human female around the age of puberty. We have no idea why teenage females seem to attract – or trigger – this type of activity, and it is not universally true, but it has been recorded as a frequent accompaniment of the poltergeist phenomenon. No one has even made a positive link between poltergeist activity and the appearance of ghostly images in human form; they may be a completely separate phenomena which may, or may not, take place in the same location. What is certain is that no visible ghost – that is, a ghost which has taken on its former, human form – has ever been seen to move a physical object. This may prove nothing more than the fact that interacting with the physical world while simultaneously manifesting a physical presence, requires more energy than a spirit can muster, but it may also be that hose things which move objects are an entirely different type of manifestation than the spirits which take on their former physical appearance. In many instances, the presence of ghostly activity includes sightings of glowing balls, often referred to as ‘orbs’, that flit or float through buildings or, on rare occasions, across the out-of-doors landscape in the proximity to a haunted building. As is true with poltergeists, we are uncertain whether these orbs are directly related to ghosts or if they are some other type of activity entirely, which simply happen to take place at the same locations where ghosts may be in residence. Similarly, we have no idea what these energy orbs are, what causes them or whether they are in any way aware of the world of the living. In many instances, ghosts make their physical appearances in the world of the living at predictable locations in the architectural landscape. Primary among these are stairways, doors, hallways, windows and, most disturbingly, mirrors. There is a popular theory that these passageways, or openings, in the physical world also serve as openings into the world of the spirits. Whether this is true, or whether it just happens that most houses tend to have a lot of doors, windows, staircases and hallways and therefore, ghosts seem to be attracted to them, is open to question. In either case, it is an interesting, and somewhat unsettling, theory. 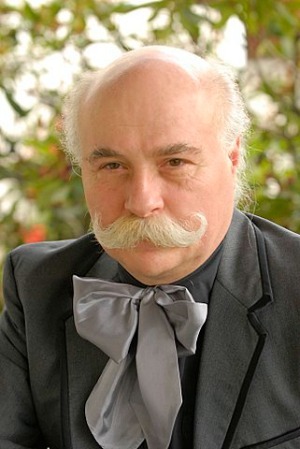 Daniel Diehl has been an author, writer and investigative historian for thirty-five years. For nearly twenty years, Diehl has been involved in writing for publication and documentary television production. Mr. Diehl’s work has won awards from the Houston (Texas) Film Festival, the National Trust for Historic Preservation (US) and the City of Pittsburgh, Pennsylvania Arts Foundation. Working alone and as a part of the multi-award winning team of Daniel Diehl and Mark Donnelly, Diehl has produced work in two main categories; trade publication and television documentary scripts. His canon of work includes twenty non-fiction books (which have been translated into ten foreign languages), one previous work of fiction and scripts for more than one hundred and seventy hours of documentary television primarily for A&E Network, The History Channel, History International, Biography Channel and Discovery Network.